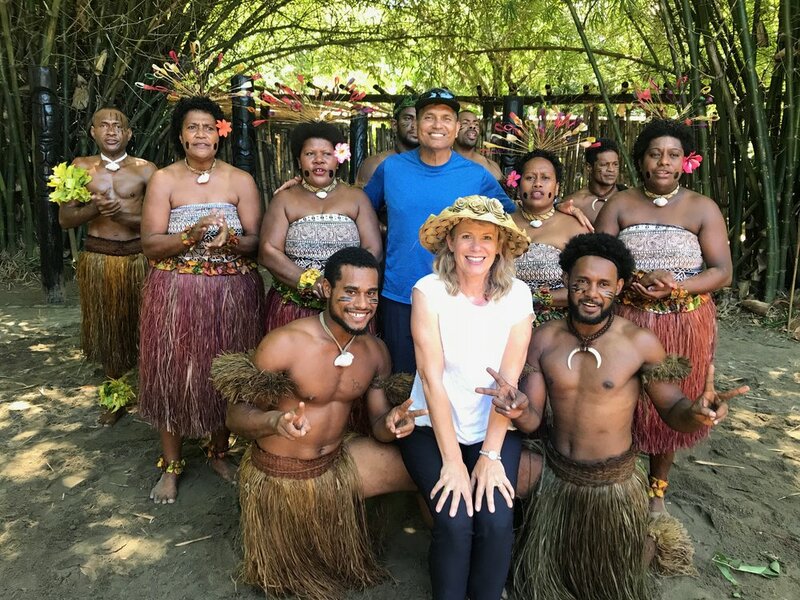 Islanders' Chief goes to Fiji! In Samoa they drive on the opposite side of the road--the left side-- like Europeans. Last week when we first got our rental car in Apia, Samoa, Maril only got confused twice. On our first right hand turn, we ended up going head to head with an oncoming truck. Good thing the speed limit is 25 mph in town and everyone's brakes worked. On his first left hand turn he made the same mistake, but his co-pilot quickly corrected him. It is pretty interesting that Samoans drove on the right side of the road up until they switched directions one day in 2009. Wikipedia explains, "A plan to move to driving on the left was first announced by the Samoan government in September 2007. Prime Minister Tuilaepa Aiono Sailele Malielegaoi said that the purpose of adopting left-hand traffic was to allow Samoans to use cheaper right-hand-drive vehicles sourced from Australia, New Zealand or Japan, and so that the large number of Samoans living in Australasia could drive on the same side of the road when they visited their country of origin. He aimed to reduce reliance on expensive, left-hand-drive imports from America..... at that time, 14,000 of Samoa's 18,000 vehicles were designed for right-hand driving." 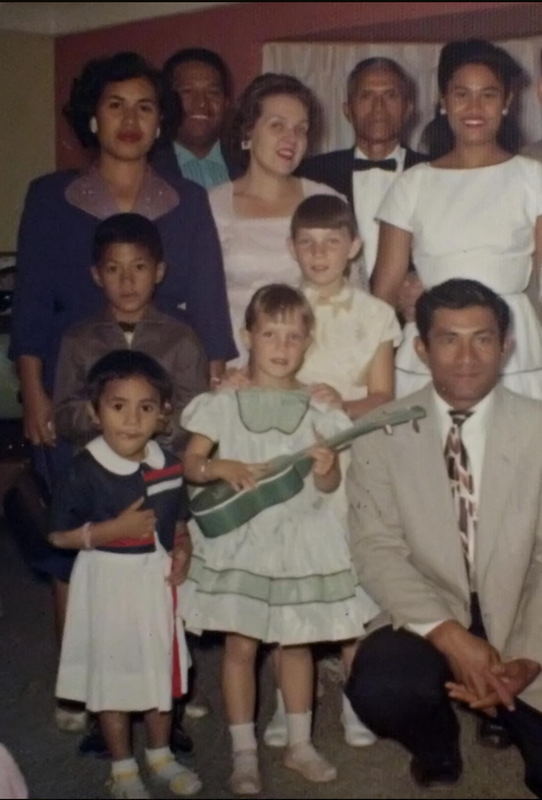 As detailed in previous (see below) blog posts about the children of Luteru and Siasaga Afualo, their children used their talents to perform across Southern California beginning in the 70s. The music played at the shows was a mix of old-time island favorites and music they wrote themselves. The original set-up was done majoritively by the family with Panesi Afualo as lead singer & guitartist, harmony by Sone Afualo and on bass, with Tomasina on the drums, Susiana as vocals and ukulele. Other siblings and their own children were equally called upon to step in by playing the keyboard, the pake drum or perhaps pick up a ukulele. "Chief Luteru" otherwise known as Maril, became a Matai, or Chief, in 2006, in his grandfather's small village of Tufutafoe, Samoa, with the traditional Saofa'i Ava* Ceremony. His official title is not Chief Luteru; the village elders gave him the title of Chief Afualo Luteru. *Ava is the Samoan word for the Tongan word, Kava. Read the captions accompanying the below pictures for details of this incredible experience in Maril's life. The village of Tufutafoe was where Maril's grandfather was born in 1905. All of the people in the village are Afualos. These are some of the distant relatives that serve on the village council who were invited inside the fale, for the ceremony. They were completely comfortable sitting cross-legged on the mats for the lengthy ceremony. This is an uncle named Nesi, who has lived in the tiny village of Tufutafoe, Samoa, his whole life. Nesi is one of the village high chiefs. He looks just like Maril's Uncle Sone, who used to be the base player for the Islanders band in the 1970's and 80's.! The taulealea presents Maril is presented with his kava stick as a guest. Each chief or matai of the village is presented with his kava stick during the ceremony. The Tufutafoe village kava bowl was much simpler than the fancy kava bowls which are sold to tourists at the market in Apia, Samoa. This boy, a tualealea, is scooping the kava drink out with a coconut shell for each of the village elders to take a sip. The ceremony was a meaningful, humbling experience for Maril as he became one of the village chiefs. Chief Luteru's son taught himself to do the fire dance at a very young age! 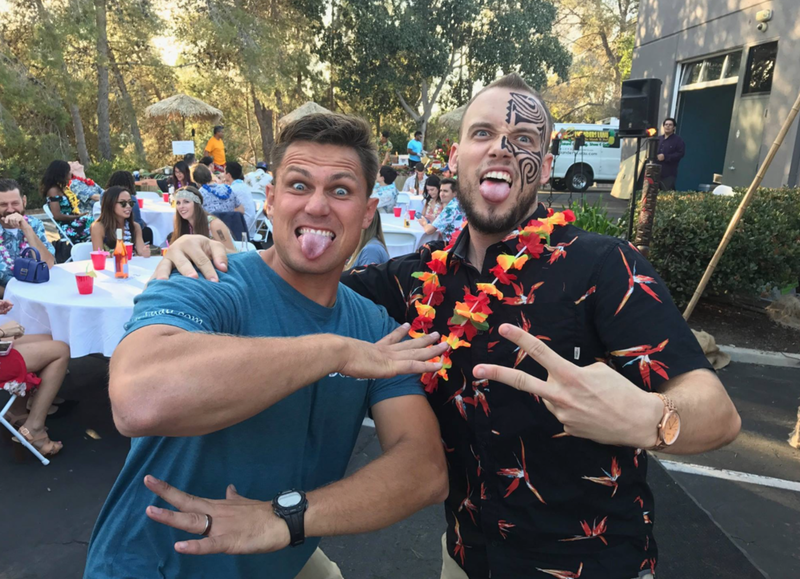 Here are some of our favorite shots taken at luaus in the last couple of years! 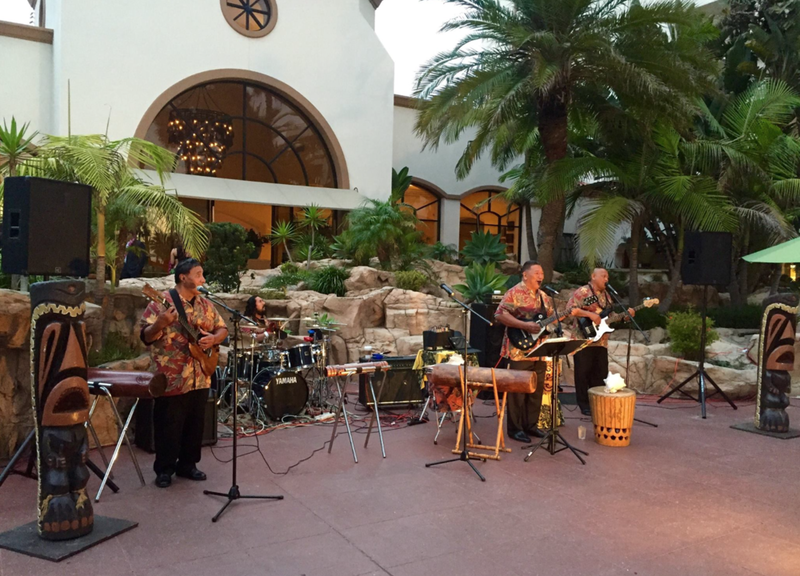 In 2017 Islanders Luau had 159 events at venues all over SoCal. 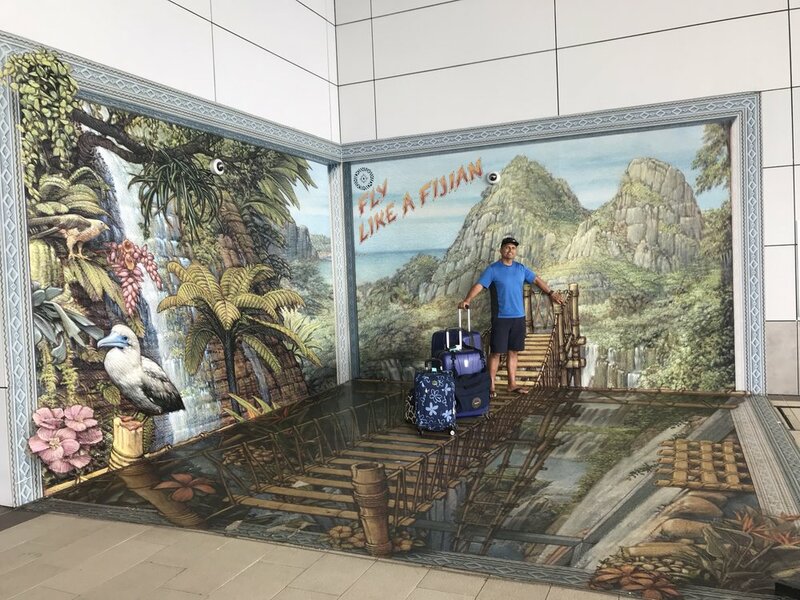 Here are some fun pictures and videos from a handful of those tropical events! 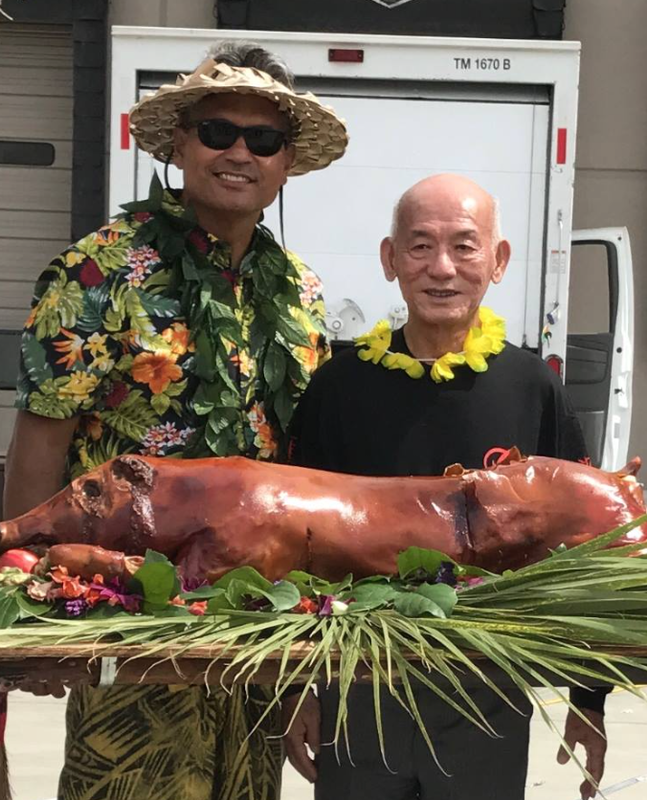 Islanders Luau has been our family business for almost 50 years. 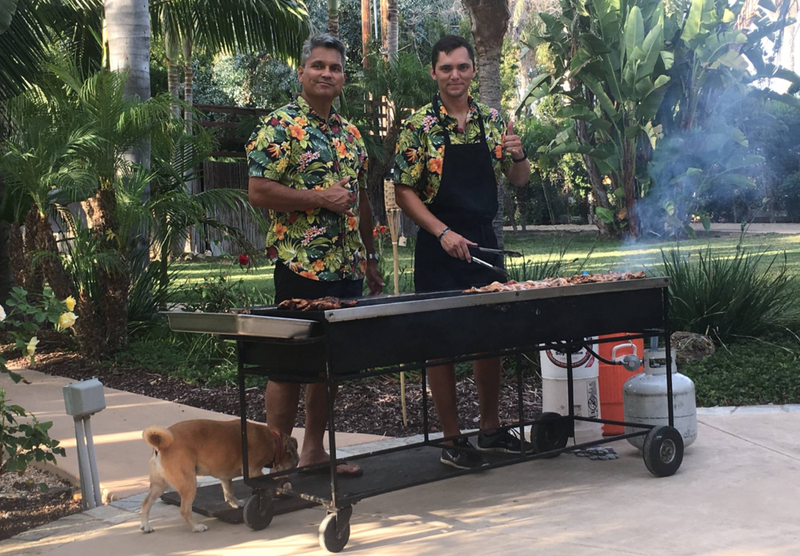 Our roles have changed, but everyone in the family still gets involved--because we love what we do! “Susiana and the Islanders” would have never made it to Southern California without the great faith of this man, Luteru Afualo. He was born on the largest Samoan island of Savaii in the early 1900’s. Someone encouraged Luteru to go to the island of Upolu to attend the LDS Church school in Sauniatu. While there he met Siasaga Naea, who told him she wouldn’t marry him if he wasn’t a member of the LDS church. He promptly converted. After finishing school, they were called on a lifelong mission for the church. Luteru would travel to small villages, and ask the chief of the village if they could start a church there. The chief would give them a small plot of jungle land to farm. They would clear the dense vegetation and build a fale, or grass shack, and farm the land by day, and do missionary work by night. Once the church was established in a village, they would move on to a new village and start over again. Susiana remembers that they would put all of their belongings on handwoven mats and the family would carry or drag the mats to their new land in a new village. Luteru and Siasaga had 10 children, 8 of whom grew to adulthood. 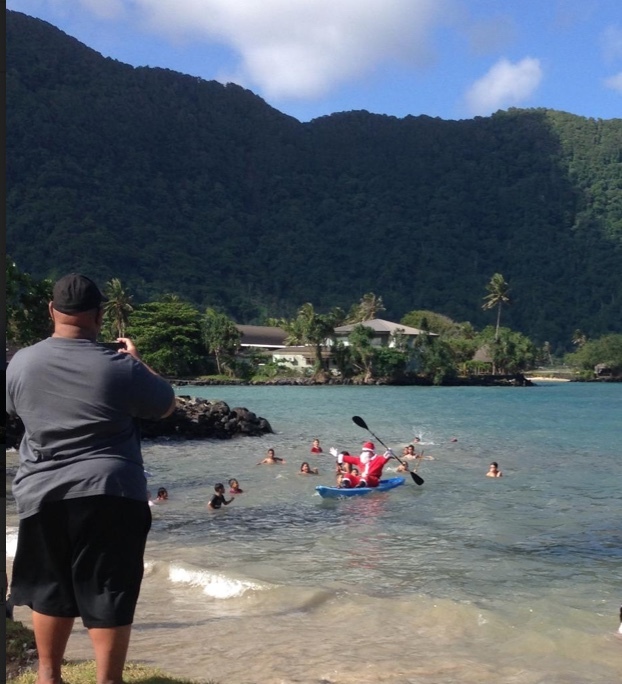 All of the children were born in different villages on two different Samoan islands. They all have interesting names that have to do with their parents’ faith. Opapo--Born in Sauniatu, Western Samoa, named after the man who converted Luteru, Opapo Fonoimoana. Elesiva--Also, born in Sauniatu, called Siva--appropriate for her lively personality. Siva means dance. Pago Pago--Born in Pago Pago, American Samoa, where the family moved to proselyte. Uatisone--(Pronounced Watasony) Born in Tula, American Samoa, the first of the boys to be named after an American missionary, Elder Watson. Laile--Born in Sauniatu, Western Samoa, the headquarters of the church in Samoa. Named after a church leader named Lyle. Susiana--Born in Lauli'i, Western Samoa. Susiana is not a traditional Samoan name, but the Samoan version of Susan or Suzann, possibly the name of a visiting church leader’s child. Penina--Born in Eva, Western Samoa. Named after her beloved older sister who passed away. Panesi--Born in Mesepa, American Samoa. 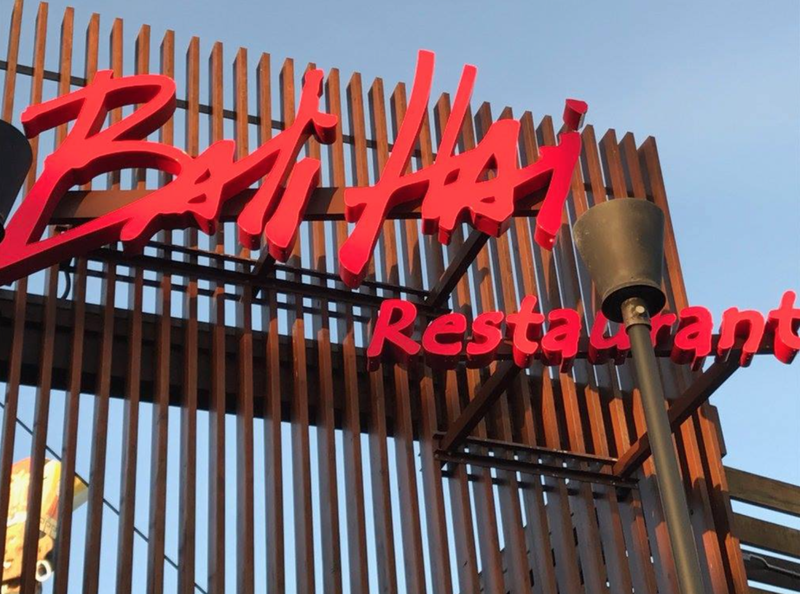 Named after an Elder Barnes. Panesi means barn. The boys all learned to work hard by fishing and farming. Susiana’s job was to go to the villages to sell the fish and produce. She learned to be a very good salesman as a young child, because she would get in trouble (sa sa) if she came home with unsold items. Things were different back then. The children didn’t have toys other than a cricket bat and ball. Susiana said that some of the activities that the children enjoyed were singing, dancing, and spinning a stick like a fire-knife dancer. (She is the one who taught her son, Maril, the basics of firedancing at the age of 5 years old. Who would have ever guessed he would use that skill almost every weekend for the next 50 years?) Their mother had learned to play a pump organ at the LDS school, and she taught all of her children to play. All of the kids remember that she had a metronome, and if they missed a beat during their lessons, they would get rapped on the knuckles with a ruler. The family was well-known for their musical talents. Luteru's wife, Siasaga, died of TB after her youngest son was born. Luteru wanted his family to go the Mormon temple in Laia, Hawaii, so the family came up with a plan. First Pago got accepted into a school in Hawaii--which was still not a state--just an American Territory. Then the other boys, Opapo, Uatesone, and Laile joined the military to allow them to immigrate to Hawaii. Once they were there, then Luteru was able to come and one by one, the other children were able to come--Elesiva, Susiana, Penina, and little Panesi. Luteru’s mission then changed to that of a labor missionary, where he worked to build the LDS Church College of Hawaii in Laia, now BYU-Hawaii. While in Laia, the handsome Afualo brothers were well known for their singing talent, often singing songs by the Lettermen, with beautiful harmony. While in Hawaii Susiana observed that entertainment didn’t have to be just for fun--it could be a viable business. All of the children soon migrated to the US mainland, and by the time Susiana was 25, she was dancing at luaus in California. Before she was 30, she started “Susiana and the Islanders”, now known as “Islanders Luau”. She enlisted many of her siblings into the first Islanders band. Sone on bass, Panesi on lead guitar, Peni on ukulele, tamborine, and Susiana on ukulele. Panesi was the lead singer and all of the siblings sang backup and an occasional solo. Luteru passed away in Laia, HI in 1960 on the day that he was released from his lifelong church mission. He was walking with his son, Sone, when he peacefully collapsed with his missionary release papers still in his hand. All of the children and grandchildren enjoy the faithful legacy of Luteru and Siasaga, who richly blessed their posterity. *Side note: If anyone knows of any LDS missionaries who served in Samoa from 1930 to 1950, who have photographs of their missions, please let us know! We don’t have any pictures of Luteru’s wife, Susiana’s mother, Siasaga Naea. We know she must be in a lot of photos that American missionaries took, back in the day. Also, if anyone knows of any corrections or additions to this blog, please comment! We only know of three photos of Luteru. This first one is from the Church College of Hawaii Yearbook in the 1950s. The second one is at a wedding in 1958, with 4 of his children--Opapo, Pago, Susiana, and Panesi, and the next picture must have been taken in Hawaii. He is holding a traditional Samoan fan. The last picture is of his grave which his great-granddaughter tends to weekly, in Laie, HI. We were amazed by how coconuts are used for just about every dish of food in Samoa. Coconut trees sprout everywhere, without being in the soil. Trees are growing everywhere and they are loaded with about 50 coconuts per tree, which is quite dangerous if you happen to be standing under a tall tree at the wrong time. Our 4 year old grandson had a coconut fall less than a foot from his head when he was playing at a park. 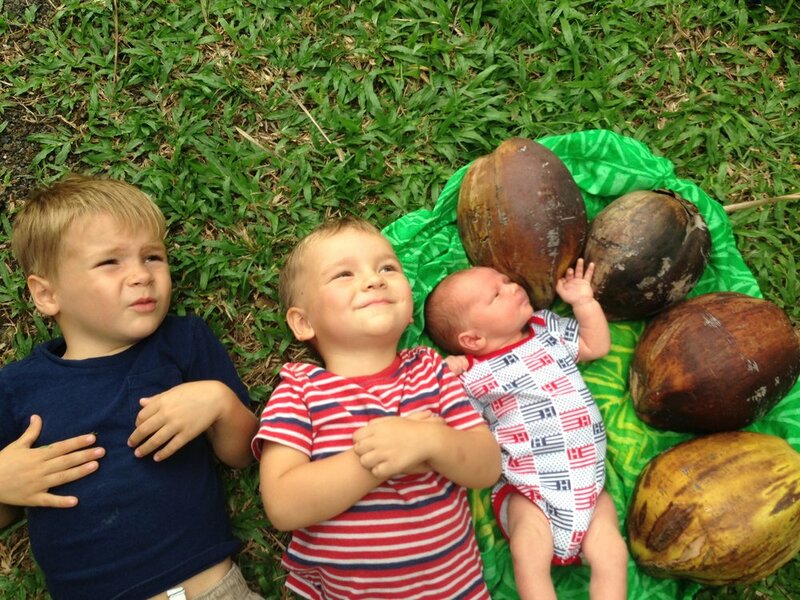 A coconut in its husk is bigger than a child's head and quite heavy! 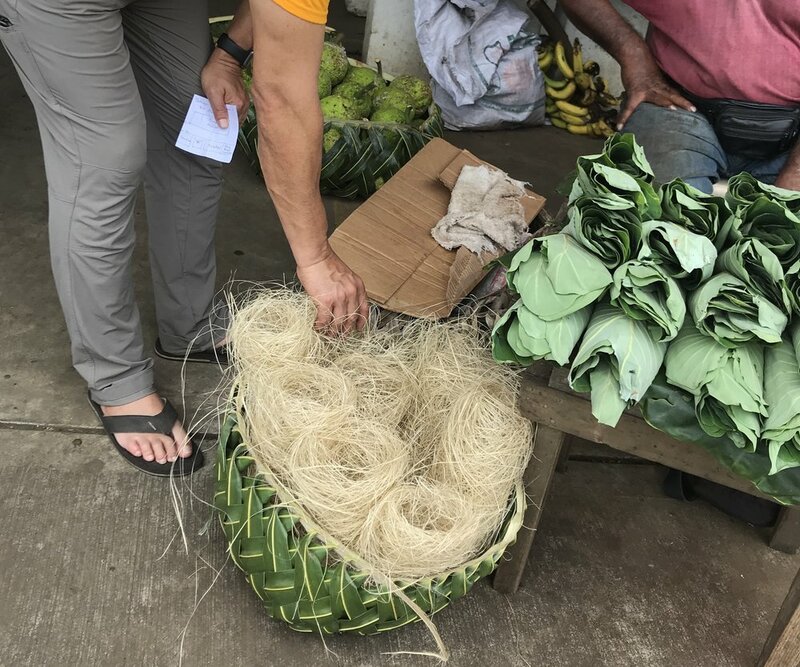 Coconuts are so plentiful in Samoa, that every day you find them on streets, floating in the ocean, on the beaches, and sprouting along all the hiking trails. They sprout and start growing into a tree without even being buried. 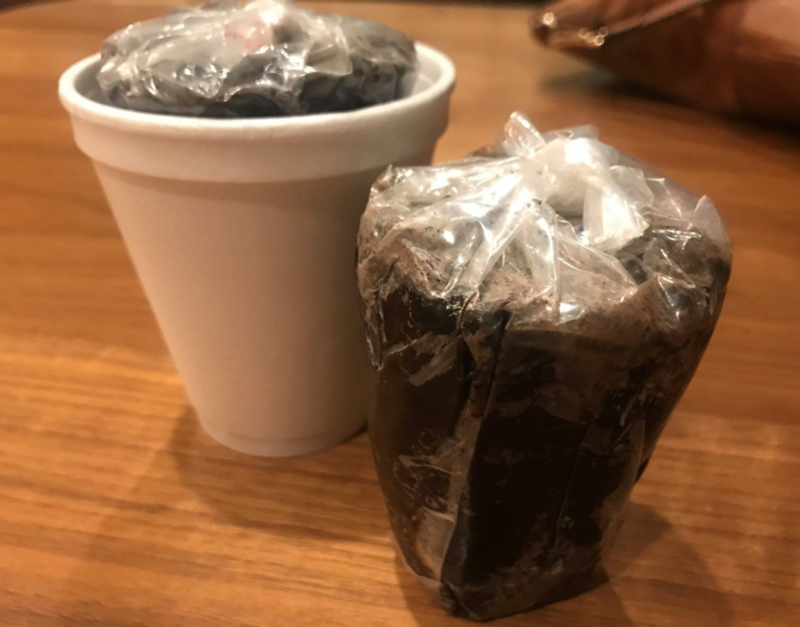 They will sprout and then a root will travel down to the ground and start a new tree. When hiking we had run out of water, so we found a thick stick, stuck it in the sand and used it to pry off the husk of a coconut. Then we took a rock and broke it open, which is easy to do if you know where to hit it. Then we drank the coconut water inside, which tastes an awful lot like Sprite. Seriously. The Samoans don't usually eat the coconut meat--they feed that to the animals--but they use coconut cream in just about everything. They can quickly husk a coconut, and then use a scraper attached to a wooden horse (see picture) to scrape the white meat into a bowl. Then they set the meat into the coconut husk, and squeeze all of the coconut milk out of the flaked meat into the bowl. The coconut milk is used to make koko rice for breakfast, and it is used as a fat substitute in many recipes. When they add a little salt and onion to it, it makes a wonderfully rich sauce on top of native vegetables, starches, and meats. Coconut milk is used in just about every traditional dessert, bakery item, main dish, and side dish in Samoa. If you are wondering what the third picture above is, it is a niu, or a young coconut. The middle part tastes a lot like cotton candy, believe it or not, and kids love it. Susiana is still at it! Susiana started Islanders Luau in 1970 (see our "About Us" page). We pull this gorgeous great-grandmother out of retirement a couple of times a year to entertain "by special request!" Like many children in Samoa, she learned to play the ukulele as a child with a handmade uke, made out of a coconut. 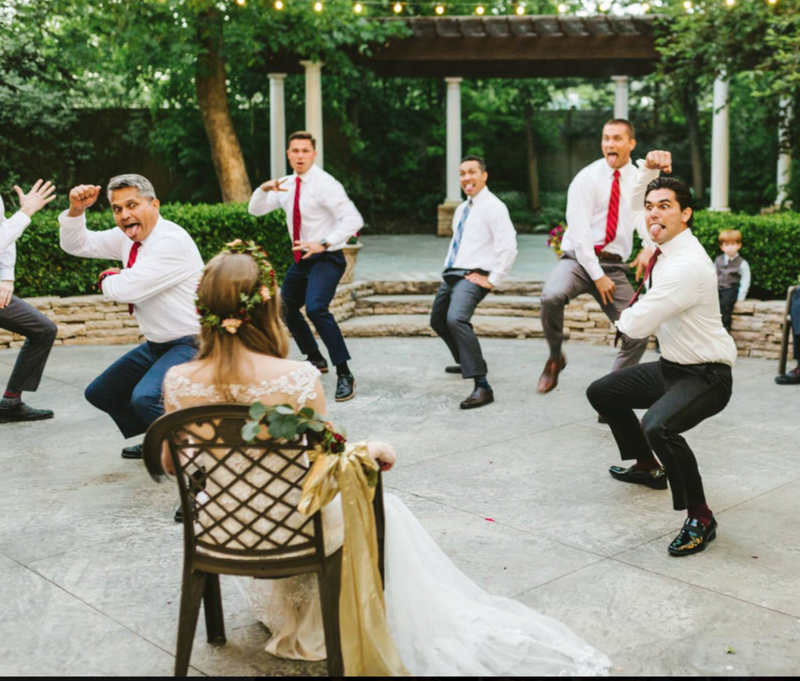 She mastered it to the point that she can really crank on it--while she sings all the Hawaiian oldies. About 10 years ago, she was playing it "by special request", and she even played it behind her head--really well! 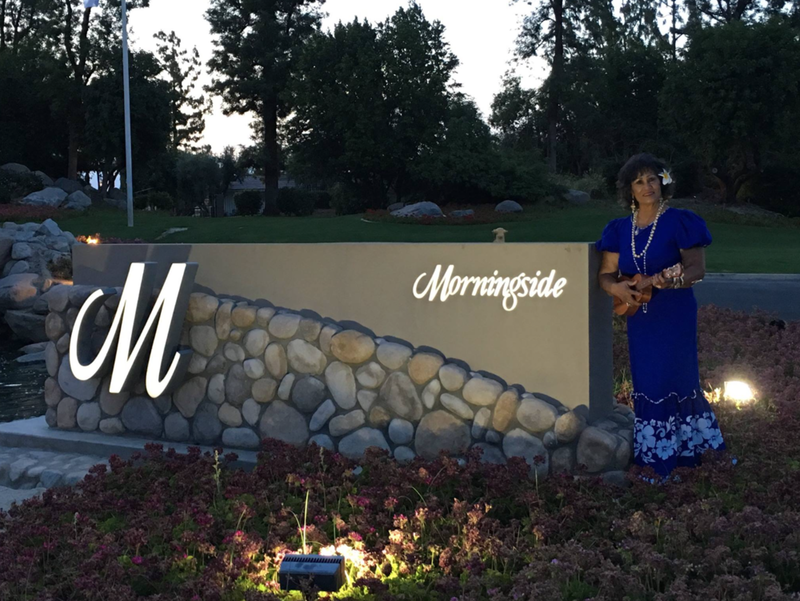 Many Samoans are blessed with incredible musical talent, and she has brought her magic to many people throughout Southern California for over 50 years! 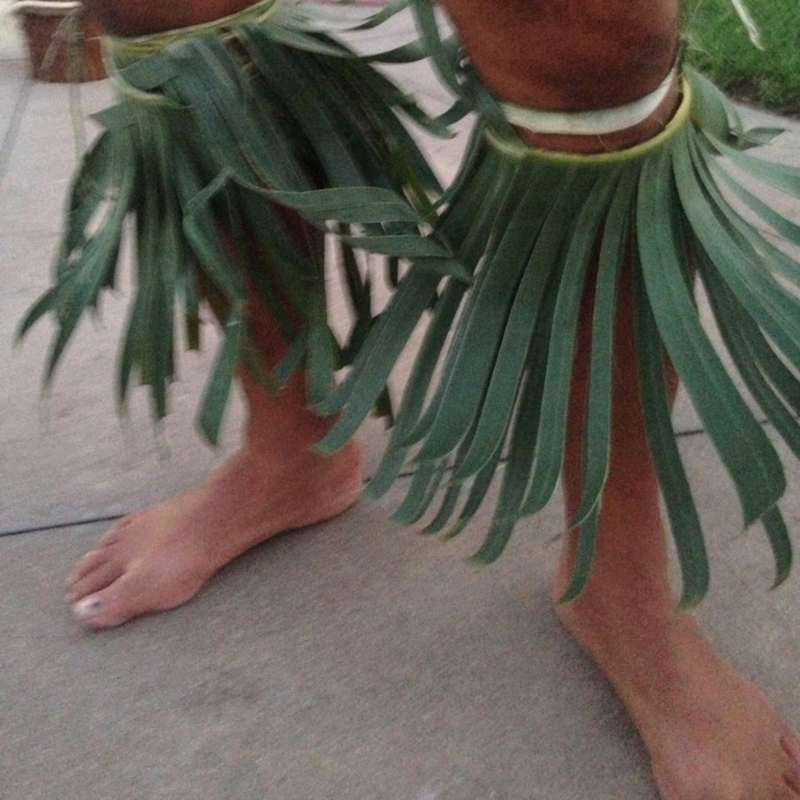 Diana designs many of the decorations and props that we use at our luaus. 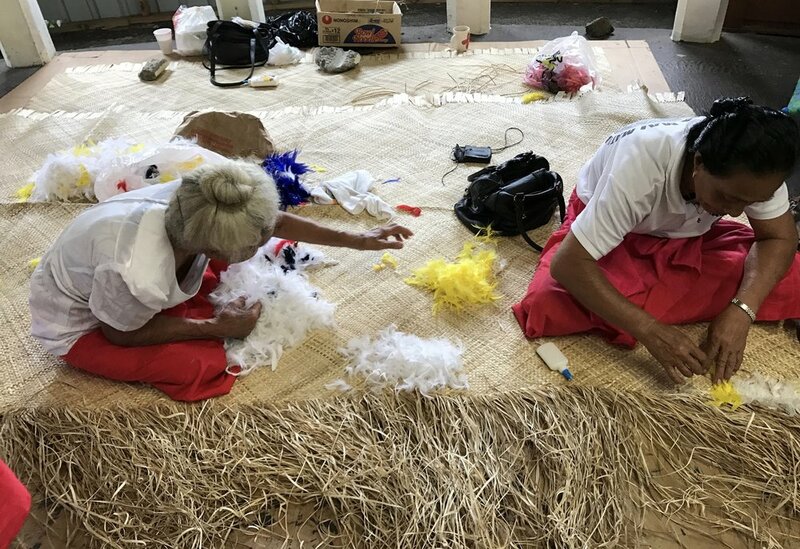 By studying the traditional skills of weaving, carving, and traditional fabric printing, Islanders Luau is second-to-none in Southern California for authentic decor that will WOW your guests! 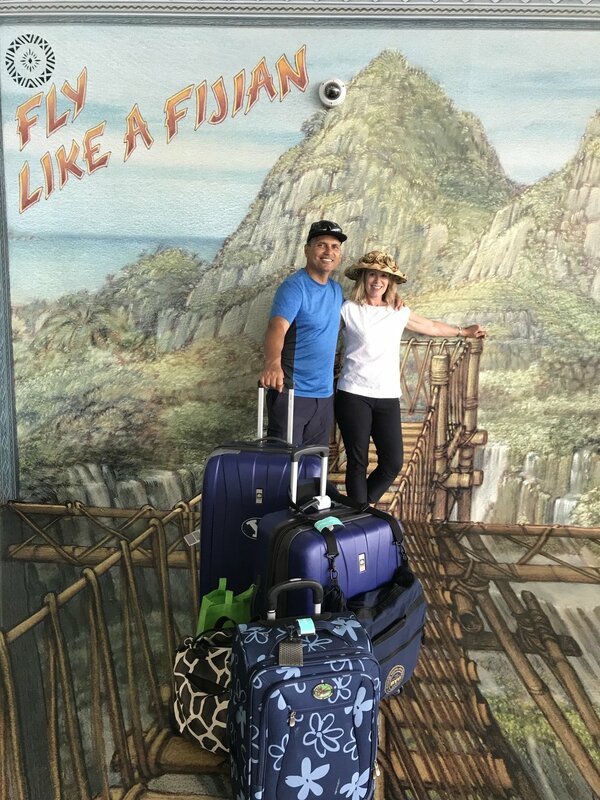 We traveled to the five islands of American Samoa in February 2017 to visit family and experience life in Samoa. Maril's mom, Susiana, was born "under a coconut tree" in Samoa in the 1940's. Our son, who lives there now, showed us the best spots to snorkel, so we can share them with you. Talofa Lava!